Translated into English by Studies for the Liberation of Aztlán and Latin America (SLALA) 02/03/01. Q: Another “Communist” Party? A: No. The Vanguard of the Russian Proletariat and Oppressed Peoples! From where have all these unusual creatures and monsters, “horned demons and snake gods” spawned? How do they differ among themselves and what do they have in common? The answer is quite simple: in the same manner as the names of the post-Soviet communist gatherings are permutations of a rather limited number of Russian letters, their ideologies and organizational principles are clusters – in different proportions and of various shades – of a rather limited number of myths and ideas. Their ideology amounts to a shallow understanding of Leninism – in terms of a few formulas and petrified phrases from The Short Course that are further reduced to the level of magical incantations and spells (“di-a-lec-tics-of-pro-duc-tive-for-ces-and-pro-duc-tive-re-la-tions” – no worse than “om-ma-ni-pad-me-hum”). They harbor an entrenched and irrational love for large spaces and the Great Power: the Army, the Fleet, the Ministry of Internal Affairs and the Military Intelligence. Anti-Semitism. Stalinism (one is compelled to remember Marx: “If these people are Marxists, I myself am not one.” If these people are Stalinists…). Anti-Stalinism: the heritage of Comrade Nikita Sergeyevich himself and the 20th Party Congress. Add a couple of ingredients: anti-Stalinism plus the Army and the Fleet – and you get the Russian Party of Communists. A few others: the Neanderthal conception of Leninism plus anti-Semitism – and you obtain the Russian Communist Workers’ Party. Mix all the ingredients in equal proportions and you get the RCP-CPSU. And so on and so forth and all that jazz: the art of cocktail making – Cuba Libre, a screwdriver and Tequila Sunrise. Meanwhile, in Russia there is a proletariat slaving away twice over: once for domestic capital and once for Western capital, with domestic capital in semi-colonial dependence to Western capital. There is also a peasantry. And a labor intelligentsia. And students. And oppressed nationalities, with which the “genuine Russians” from the Kremlin, inspired by post-modern æsthetes from Zubov Boulevard 1, choose to speak but in one language – that of genocide. All of them – the masses of our country – are agonizing speechless. There is absolutely no one to formulate and express the enormous potential of their righteous anger and protest against the inhuman System. The post-Soviet commies are busy making cocktails. The “left radicals” (comrade Cohn-Bendit would be turning around is his grave, had he died on time instead of becoming the bourgeois pig that he is now) find inspiration and joy in going to jail on charges of terrorism, while all other political and public organizations pile like bricks onto the tower of Babel, the “vertical structure of authority” of the fascist state gradually but steadily growing in the midst of our agonizing and vast Russia. So that’s how it is. 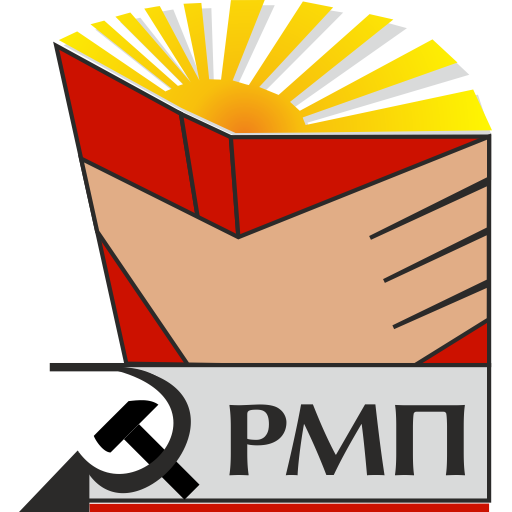 It is under these conditions that our organization, the Russian Maoist Party, is born – a small (for now) group, represented as of today unfortunately better by means of Web-based and paper projects rather than on the live political arena. 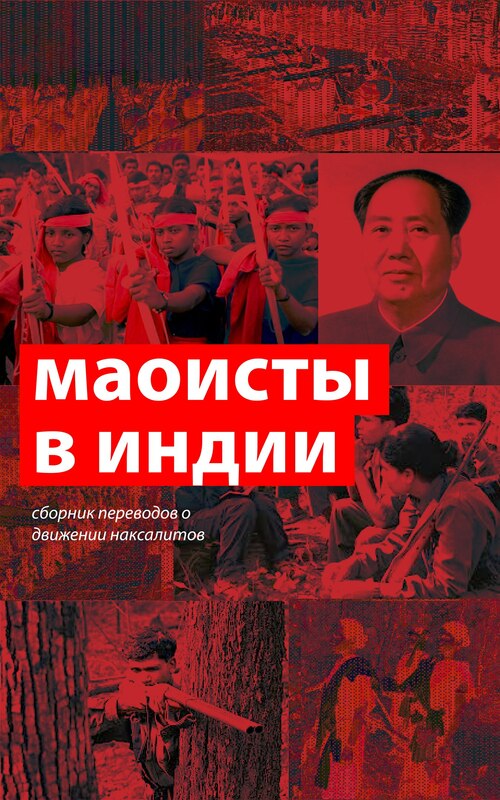 An organization upholding Marxism-Leninism, defending Stalin and the Soviet Union of the Stalin times, calling itself communist and trying to supply the Russian information field with such “exotic fruits” as the Cultural Revolution, the Black Panther Party, Kang Sheng, Yao Wen-yuan and Huey Newton. Is it another (14th? 15th?) post-Soviet communist get-together? Is it a hilarious joke by a team of Web jesters? A provocation? An asylum? These are the questions posed by bourgeois political analysts from The Russian Journal and SMI.RU 2, by our “colleagues” from the “left” movement and by curious by-standers. To a large extent, this has to do with the peculiarities of our country and its 20th century history. In a period of a little more than 40 years, the land of Russia and that of the other countries of the ex-Soviet Union became the stage of both one of the brightest events of our century (if not of the entire history of humankind) and one of its most sinister tragedies. In 1917, the workers and peasants of czarist Russia were the first in world history to have broken through the continuum of exploitation and to have paved the way towards a world without inequality, wars and dictatorships. For over 30 years, the USSR of Lenin and Stalin was on the socialist road in spite of all the errors and crimes being committed at the time. Millions of oppressed with no rights obtained bread, gained freedom and access to knowledge and culture unavailable to them before, they acquired a sense of purpose in life and self-esteem. The Soviet Union was looked upon with hope and admiration by a Newcastle miner and a sharecropper from Alabama, by a Mojahedeen rebel from Iran and a radical student from Calcutta, as well as by Jean-Paul Sartre and James Joyce. After Stalin’s death, the country weakened by war and affected by numerous vices from the old régime that had come to the surface as a result of the war, the party bureaucracy managed to conquer state power. Very soon it rolled back all the socialist achievements and turned the USSR onto the capitalist road. A monster was formed: the “Sovok” 3 of the Khrushchev and Brezhnev times, a totalitarian social-imperialist régime. A state where all power and property rights were concentrated in the hands of the bourgeois party nomenclature rapidly turning into a hereditary caste; where the people were deprived of the basic human rights, fooled by propaganda that hindered their ability to think critically, bribed and corrupted within the framework of the “goulash Communism” system; where workers’ uprisings were smashed by tanks and where concentration camps and asylums awaited anyone who disagreed (whether from the Right or from the Left). This state was an empire that competed with its twin, America, for the “honorable” role of the World Gendarme and that lost solely because of its relative poverty and technological backwardness. It was a culture drenched with militarism, cult of the State, chauvinism and anti-Semitism; an extremely conservative society that offered no opportunities to creative and active people and, therefore, a society mired with pessimism and morbid hopelessness. The worst thing is that the social-imperialism of the Khrushchev and Brezhnev times is still with us. This is because the Brezhnev elite party nomenclature is still the ruling class in our society, in spite of the fact that these people now bear a different name and proclaim different slogans. It is because our economy, in spite of its “westernized” front, is in essence not much different from the late Brezhnev one. It is because the rotten culture of the late “Sovok” has blended with our flesh and blood, the seriousness of the situation being such that even “politically correct” Western slogans about “human rights” and “a civil society” seem less of an evil and more of a progressive alternative. Finally, it is because all the bricks composing the outlook and practice of our so-called “left” opposition are in reality scattered fragments (spiced up with the personal schizophrenia of the contemporary “communist” leaders) of the worldview imposed upon us by the propaganda machine of the Khrushchev and Brezhnev times. This is precisely why genuine Marxism-Leninism-Maoism is essential to Russia today. It was Mao and the Communist Party of China that first saw in late 1950’s where the Soviet Union was heading and that predicted with certainty the entire course of its development. It was Mao who carried out the study on the possibility of capitalist restoration and showed that the sources of this restoration were the bourgeois elements inside the ruling communist party. It is Maoism that talks about the right, but also the duty, of the masses to overthrow such a party as soon as it starts taking the capitalist road. It is Maoism that talks about the superstructure – politics, culture, language – as a factor of social development no less important that the economic base. It is Maoism that acknowledges the necessity of total liberation, of revolution in every sphere of social life – from the economy to sexual relations. Maoism gives us the tools to adequately describe how Russia has reached its present situation and shows how it can find a way out, something that is crucial not only because it’s in the interests of a vast majority of the population of our country, but also because it’s a matter of our national pride in the face of the entire world, to which, in the course of the 20th century, we once gave a great hope and which we once disillusioned so bitterly. This is why, no matter how arrogant it may sound, we consider ourselves the vanguard of the struggle of the Russian proletariat and other oppressed masses. The vanguard is a completely objective phenomenon, independent of subjective will. The vanguard is the set of members of one or another society whose ideology is the most advanced and scientifically valid at a given time period. No matter how few in number or how weak such people are, no matter whether they are conscious of their role as the vanguard or not – they don’t cease to be one. If they are firm in upholding the correct ideological line and acting within its framework, their victory will be certain and the majority of the masses will be drawn to their side. To defend bourgeois democracy and institutions of the “civil society” under the conditions of a régime that is becoming progressively more authoritarian: freedom of speech, freedom of the press, meetings, rallies and strikes, as well as the encouragement of various civil initiatives, NGOs, independent labor unions, associations, human rights committees, etc. While the ruling circles officially proclaim democratic rights, they fail to comply with their own declarations. That’s why we fight not only for the preservation of the existing rights and freedoms, but also for their wide-scale expansion. We call for the abolition of mandatory military service, wide-scale militarization of the masses, legalization of marijuana and other light drugs, freedom of euthanasia, legalized abortion, complete freedom for the sexual minorities including their right to homosexual marriage, etc. On these points we coincide with the ultra-radical democrats – the Revolutionary Contact Association, the Democratic Union and the Anti-Militarist Radical Association. However, our advantage over them consists in the fact that, first, we do not link democratic rights and freedoms with private property and the cult of America and, second, we do not regard them as absolute values. For us these claims are a weapon in our struggle against the threat of a fascist dictatorship; they are means of undermining and debilitating the bourgeois state, the essence of which is always anti-people and anti-democratic. True democracy is possible only under socialism. To support the struggles for national liberation of the peoples of Russia. Just as the Chechen war was the main public relations action during Putin’s presidential campaign, Great Russian chauvinist rhetoric and practice is one of the major pillars sustaining the present régime, as well as one of its fundamental weaknesses. We express our solidarity with the righteous independence war of the people of Ichkeria; we support the national movements in Tatarstan, Tuva and other places, as well as the struggles of Jews, Kurds etc. for national and cultural autonomy. However, our advantage over local nationalists (even revolutionary nationalists) consists in the fact that we don’t make fetishes out of such things as the “national spirit,” “blood and land”; we are free from religious illusions. We understand that, ultimately, every national phenomenon is a consequence of a class phenomenon. Just as in the case of bourgeois-democratic freedoms, we say: genuine national independence is possible only under socialism. These are some of our thoughts on our line and the role we play in today’s Russia. This is why we maintain that the rise of our party was necessary and bound to happen. We call on our teachers, the masses, to criticize and correct this line. But in the most essential points, the RMP is certain: our cause is righteous and the victory will be ours!